The U.K. Supreme Court has just issued an extremely important opinion concerning the grave risk of harm exception in a Hague abduction case. In the Matter of S (a Child)  UKSC 10. The ruling is surprising in at least three respects. The first is that the Supreme Court bluntly castigated another high-level court in another jurisdiction -- the European Court of Human Rights. In X v Latvia the European Court reiterated its decision in the infamous Neulinger case that the European Convention on Human Rights requires an in-depth examination concerning the family’s best interests in any case under the Hague Abduction Convention. In the humble opinion of this author, the Supreme Court’s rebuke is welcome and entirely correct, for the reasons I have previously stated in my article, The Hague Abduction Convention and Human Rights: A Critique of the Neulinger Case. 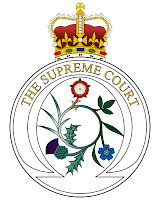 The second somewhat surprising element of the decision in In the Matter of S is that the U.K. Supreme Court has made it clear that in its previous decision last year in Re E (Children) (Abduction: Custody Appeal)  UKSC 27 it did, indeed, intend to change the English interpretation of the grave risk exception to the Hague Convention in a far broader way than English courts had previously adopted. The third element that is surprising to a lawyer on this side of the pond is that the Supreme Court did not merely overturn the decision of the English Court of Appeal for objective reasons but it lashed out at that court in remarkably forthright and harsh language for its failure to read correctly and apply the Supreme Court decision in re E.
The bottom line is that, although the U.K. Supreme Court declared that in re E it had not really changed the law concerning Article 13(b), but had merely removed the “excrescence” that earlier case law to the plain meaning of the treaty, it has in fact broadened the exception as it is applied in England. Now, in In the Matter of S (a Child)the U.K. Supreme Court had to determine how apply its prior ruling. A British mother living in Australia with the child’s Australian father had separated, obtained an “apprehended domestic violence order” in the Australian courts, and then removed the child to England. She defended the Hague case by submitting strong psychiatric evidence about her fear of returning to Australia. The evidence showed that she was psychologically fine in England but that if she were to return to Australia her prior emotional trauma -- diagnosed as Battered Women's Syndrome, a form of Post-Traumatic Stress Disorder -- would likely return. She also submitted evidence of some domestic violence against her but none as to the child. The trial court determined that the likely psychiatric and psychological impact on the mother of a return to Australia was significant and severe. The source of her stress (the father) was in Australia. Contact with this source of stress (re-exposure to the father) would put her at risk for further acute stress and post traumatic stress. She had a prior history of anxiety and depression which not only lowered her threshold for acute stress and post traumatic stress but also increased the likelihood of a recurrence of her anxiety and depression. The Court of Appeal overturned the trial court’s ruling because her defense was based merely on her subjective perception of risks which might lack any foundation in reality. The Supreme Court declared that the Court of Appeal had wrongly defined the crucial question as whether the mother's anxieties were realistically and reasonably held. It stated that the critical question was what would happen if the parent and child were returned. If, upon return, the parent would suffer such anxieties that their effect on the parent's mental health would create a situation that would be intolerable for the child, then the child should not be returned. It did not matter whether the mother’s anxieties were reasonable or unreasonable. The Supreme Court decision is also surprising for its failure to discuss the extent to which the child would be expected to suffer as a result of the mother’s anticipated trauma.